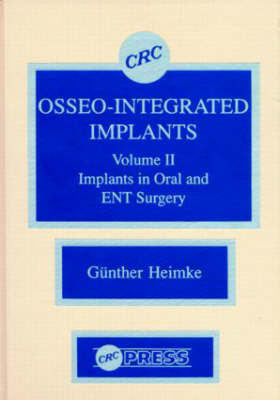 The focus of this two-volume work is osseo integration. It discusses the use of glue to attach bony tissue as well as the use of the absence of biochemical interactions between some oxide ceramics (particularly pure A1203 ceramic) and the adjacent tissue. This book also demonstrates the possibility of controlling the interface remodelling by the stresses and strains created by the insertion of the implant. Written in a concise, easy-to-read format, this text covers the use of implants in orthopedics, maxillo-facial surgery, and dentistry. All those involved with bioengineering, orthopedics, maxillo-facial surgery, dentistry, and biomechanics will find this reference to be of particular interest.